This week, in a return to updates after a long winter break (from writing, not drinking), PourThought is going to feature some beers I got from the Tabor family. Both Alexis and Luke brought beer to me in New Orleans from Providence and I’m pretty excited about it. All stuff I can’t get in Louisiana or really anywhere within hundreds of miles. Pours a hazy copper, with a soapy khaki head. Some brown sugar, molasses in the nose with dark fruit and an earthy hop aroma. On the palate, sweet malt, toffee, and then fruity sweet that fades to a bitter and warming finish. A sticky mouthfeel and a good harmony of malt sweet and piney and earthy hops. This beer was really easy to drink and really tasty. Pours a crystal clear, deep amber which produces a sizeable, off-white head with good retention that leaves a nice foam capping. 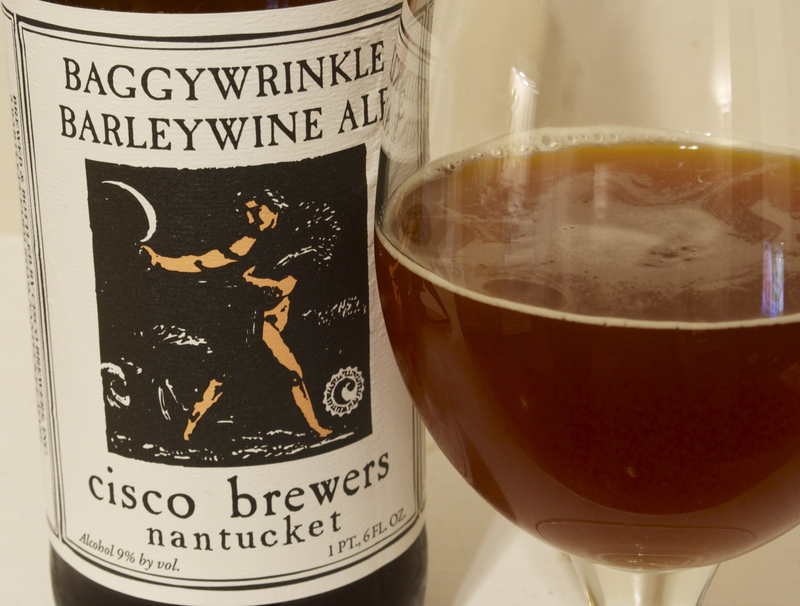 The nose is very malty, with some nutty aromas, followed by fruity esters and piney hops on the back. There is a pretty assertive hop profile for an English style, which is usually pretty subdued. The taste is not as strong on the hops, probably because the alcohol rounds off any sharp flavors that the nose might have implied. Mostly malt and raisin/fig up front with earthy hop bitterness in back. The finish is very bitter with a musty spice. The beer is syrupy at first but then thins out which makes it pleasantly palatable. The hops add great character to the strong alcohol presence and give it greater depth than something like the Kulmbacher Eisbock that is heavy with malt sweetness with no hop bittering to be found. Barleywines are typically a winter seasonal, but I don’t see why one can’t be enjoyed on a cool spring night as a replacement for the traditional spring-time doppelbocks. 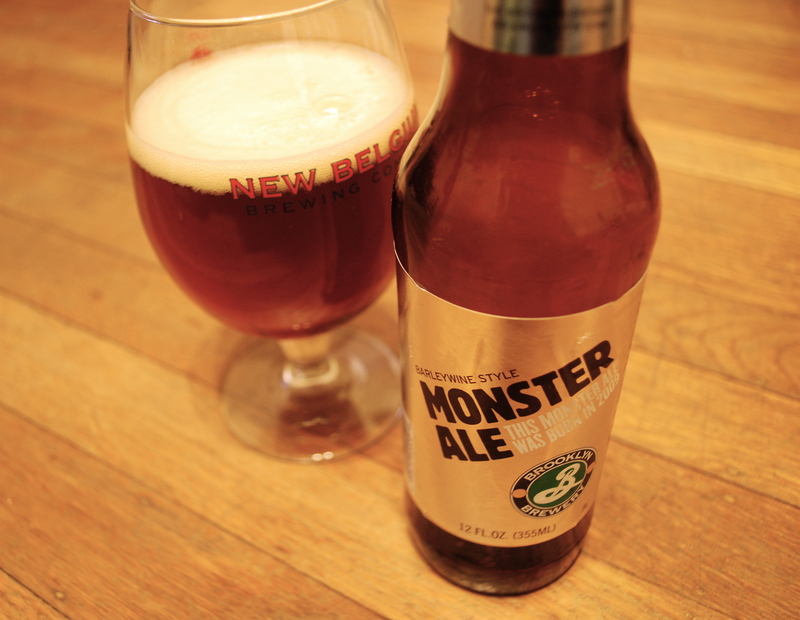 If you need some sweet alcoholic warmth, grab a barleywine, and this Brooklyn Monster is a very unique and interesting one. Pours a deep copper/mahogany with red highlights and a very minimal off-white head that recedes to a khaki colored halo of foam on the surface. The beer releases immediately sweet aromas of molasses, prune and grape, followed by some earth tones with wood, maybe leather. This is followed up with a floral hop aroma and a lot of alcoholic heat. The taste is of sweet malt upfront that transforms into an oaky, prune and vinous taste, with brown sugar, molasses and dark fruit present. The hop bitterness then progresses on the palate with a warming alcoholic finish. It is a nice full-bodied beer, a bit oily on the palate with some residual stickiness. This is a really delicious sipping beer. Great for after dinner, warming by the fire. 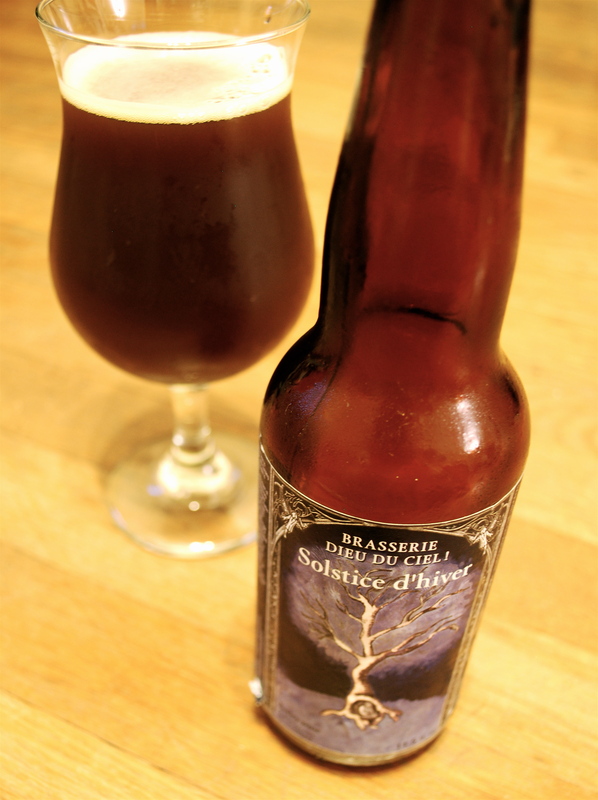 Solstice d’Hiver is very comforting, as most barleywines and other winter essentials are. Pours a deep reddish brown, with an off white head that is a bit thin, but expected. The head quickly dissipates a bit and changes to just a foamy surface. The beer all together is very appetizing looking in the glass. This American barleywine smells of sweet bready malt at first, followed by a nice plum and fig fruityness, paired with some hints of licorice. There is an overtone of hops throughout. The sweet malt arrives first on the palate and almost instantly turns to a complex blend of fruit, then licorice, then all the complexity of flavor seems to disappear behind a deep hop bitterness. This has much more hop aroma, flavor and bittering than I had expected from a barleywine, this is clearly where English and American styles differ. I should have known to expect a high dose of greenery from the West coast hop heads at Sierra Nevada. The alcohol is pretty well hidden, there is low heat overall. It is a little more unbalanced than the label claims to be. Just as the Brits are subdued which I enjoyed in the Anchor Old Foghorn Barleywine, the Californians bring that extreme American attitude to this beer. I liked this beer, just not at first. As it warms the hop bitterness rounds out and gives way to a sweeter, more stylistic and smooth finish. This is definitely a sipper of a beer. My opinion on the bottle, is one and done. One note is that the hops remained pretty fresh and biting for a Barleywine that is about a year old, must have been stored pretty well as it is the 2008 edition.